No attorney can guarantee an outcome in a criminal case.These cases are designed to serve as a sample of the cases I represent. Please contact me personally about your individual case for a review. References for prior cases outcomes are available upon request for certain publicly litigated cases or where clients have agreed to allow disclosure of details. Most are not publicly available or have been sealed to protect client privacy where possible. Client was charged with felonies and misdemeanors including Possession of Schedule 1 Drugs. Client sought advice on how to remove those felonies and misdemeanors from record. Client’s record will reflect no criminal charges for those offenses upon final judge’s signature, removing records from system. Client on felony drug probation was detained for DUII & Arrested. Conviction would have resulted in revocation of probation with prison sentence. Motion to Suppress Illegally Gathered Evidence filed. Judge granted Motion Denying Prosecution Use of Evidence. Case Dismissed, No Further Charges or Revocation of Probation. Client was detained, arrested, searched, and cited with felony possession of Marijuana, Hashish, Scales, & Drug Paraphernalia. Motion to Suppress Filed based on illegal search and seizure by police. All evidence suppressed by Court. Case Dismissed. Client was profiled & stopped for faulty equipment. Client and other passenger were detained, searched, questioned, gave full confessions, arrested and charged with Felony Possession & Delivery of Marijuana, as well as money laundering & possession of MDMA. Client faced 2-5 years of prison time. Motions to suppress stop and all evidence seized by police filed and litigated by my office over unlawful expansion of police conduct. Court suppressed all evidence and confessions, including many pounds of marijuana, other drugs and large sums of cash. Case Dismissed. 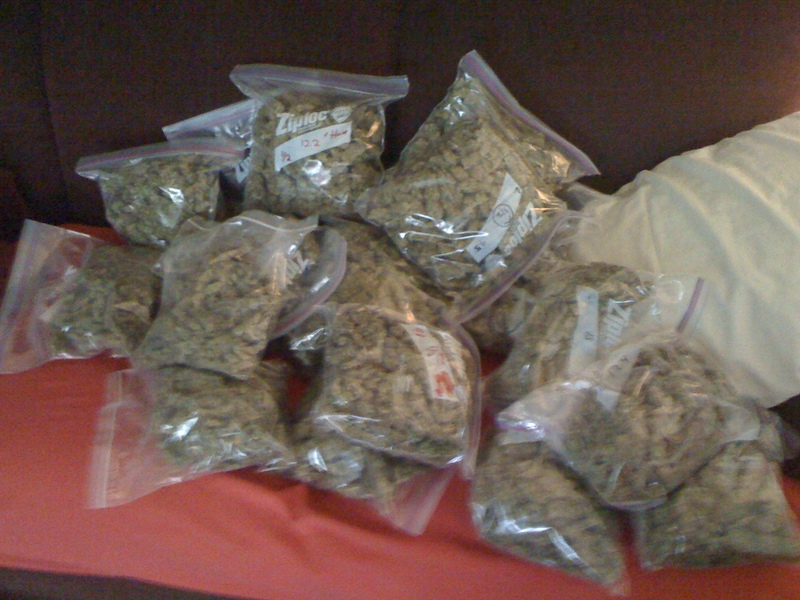 Client was stopped with 1lb+ marijuana and cash. Client quickly contacted my office and made no statements. Filings by my office showing medical marijuana status and proof of income resulted in no filing of any charges. Client was charged with 3 felonies in a rural county, including Manufacturing and Possessing Marijuana outside the scope of the Oregon Medical Marijuana Act. My office worked for 6+ months to create a diversionary agreement with the District Attorney that left my client with no criminal record for felony or misdemeanors, no jail time, and a small fine of less than $1000. Client seeking to open Medical Marijuana Dispensary wished to have records cleared or reduced due to restrictions related to prior felonies. My office amended client’s prior record through motions to Courts to misdemeanors to allow client to participate in the OMMP as a dispensary owner as well as possess firearms once again legally. Client was charged with 2 DUI’s in less than 1 year period. My office negotiated both and resolved the matter with a sentence that was less than the original offer for 1 DUI, allowed the dismissal of the other and allowed client to maintain employment during this period. Client with 4+ prior felonies including federal record arrested with multiple firearms and controlled substance. Client was facing 20+ years with a federal minimum mandatory sentence of at least 5 years if sentenced in federal courts. Deal brokered to keep client in State Court system and to eliminate possibility of minimum mandatory sentencing with a 2 year state sentence. Client with 4+ prior felonies at State & Federal level was arrested & indicted for 400+ Kilos of marijuana for Manufacture,Delivery,Possession as well as Felon in Possession of Firearm/Ammunition offenses. Client was indicted in State Court with threat of federal prosecution. Client was facing at 15-30 years of federal time under the minimum mandatory sentencing guidelines, as well as 10-20 years under the state guidelines. My office was hired after over 1 year, where previous counsel had negotiated down to a 10 year state sentence. My office negotiated for over a year and obtained a sentence of less than 3 years for the client through expert analysis and investigation of the case. Client was arrested and charged with 7+ drug felonies including Possession & Delivery of substantial quantities of MDMA, Psilocybin, & LSD after raids & investigation. Client was subject to minimum mandatory drug sentencing guidelines for 5-15+ years. My office negotiated a sentence below the minimum guidelines for a single drug count & dismissal of 6 other felony charges. Professional client was arrested for solicitation of prostitution, felony possession & distribution of marijuana. I crafted an agreement with the District Attorney to dismiss all felony charges after completion of probationary period and community service as well as completely seal clients record upon completion. Client was charged with multiple sexual abuse of a minor statutorily (Consent not available as defense for those under 18) outside of Romeo & Juliet Provision due to age difference being slightly greater than three years. All charges dismissed after 6+ months of negotiation with Court & District Attorney in the Interest of Justice. Client was charged with felony manslaughter and child abuse due to child’s death from complications due to pneumonia. Not Guilty Verdicts on all counts after 2+ year investigation by State and 2 week+ trial to Jury. Client was wanted in manslaughter investigation. I intervened and crafted a complete non-prosecution agreement with the District Attorney before client testified at Grand Jury that resulted in client never needing to appear at trial or being charged criminally for death.